Businessman, MLA (1954-1957), MLA (1958-1959), MP (1962-1963), MP (1963-1965), MP (1966-1968). Born at St. Vital on 21 August 1912, son of Camille Teillet and Sarah Riel (daughter of Joseph Riel, younger brother of Louis Riel), he attended school at St. Vital and St. Boniface, being forced by the Great Depression to leave St. Boniface College after two years. He then apprenticed as a bank manager until banks began closing, when he took a variety of jobs. He served overseas with the RCAF during the Second World War, as a navigator aboard a Halifax bomber. He was shot down during a mission in August 1942 and was a German prisoner of war until 1945. Returning to Winnipeg, he established an insurance agency. 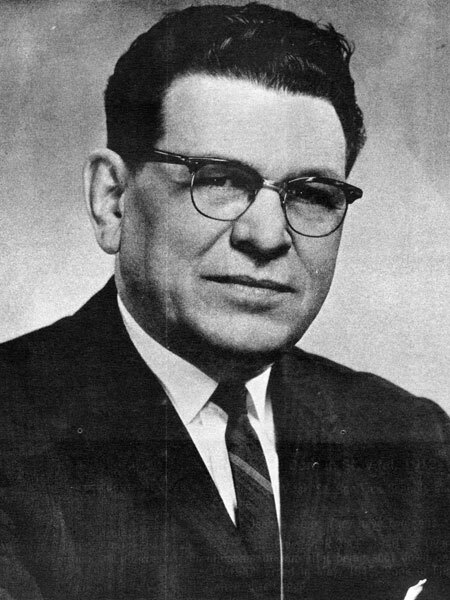 He was elected to the Manitoba Legislature for St. Boniface in 1953, re-elected in 1958 but was not a candidate in 1959. He was elected to the House of Commons for St. Boniface in 1962, and was re-elected in 1963 and 1965. He sat on the committee that selected Canada’s maple leaf flag. He served as Minister of Veterans Affairs from 1963 to 1968 and Canadian Pension Commissioner from 1968 to 1978. After retirement in 1980, he remained in Ottawa. He died at Ottawa, Ontario on 1 May 2002. Obituary, Winnipeg Free Press, 3 May 2002, page 45. “A Manitoba native son is laid to rest,” Winnipeg Free Press, 12 May 2002, page A4.